Congratulations again this year to Kaitlyn Pfeiffer for winning the Unbaked Cheesecake section of the Annual Show Dinner Dessert Cake Competition. Congratulations too to Jill Murphy, winner of the Baked Cheesecake section. Many thanks to judge Vaughan Wilson who had to sample 15 cheesecakes to decide on the winners. Tough job Vaughan but someone had to do all that tasting! The overall Champion Garden will also receive the Marjorie Fishlock Perpetual Award and the Runner-up will also receive the Avis Marston Perpetual Memorial Trophy, donated by her family. 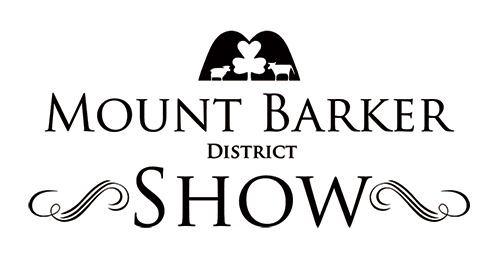 The rest of the Garden Competition Results will be listed in the 2016 Show Results. 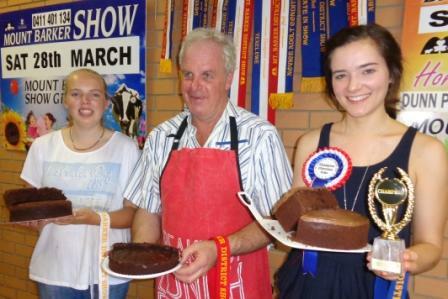 It was a big job for judge Rex Liebelt to taste and rank all those yummy chocolate cakes but he finally came up with two winners and they were both youngsters! The two youngest competitors beat all the long-time cooks, Congratulations to Kaitlyn Pfeiffer and Charlie Kelso who also took out the championship.